With each passing year, our lives are not getting any less complicated. The technological revolution has only helped exacerbate the problem. However, at the same time, it’s technology itself that has been a solution to itself! IFTTT (If This Then That) has let the millennia regain control over their lives, especially when it comes to the multiple devices and applications that are constantly seeking their attention. IFTTT was conjured to streamline and simplify multichannel integration, thus enabling users to engage with technology is a much smarter way. It acts as a link between devices (mobile phones), social accounts (social media), emails and the like to allow for intelligent monitoring and control of users choices while communicating the same with the user. 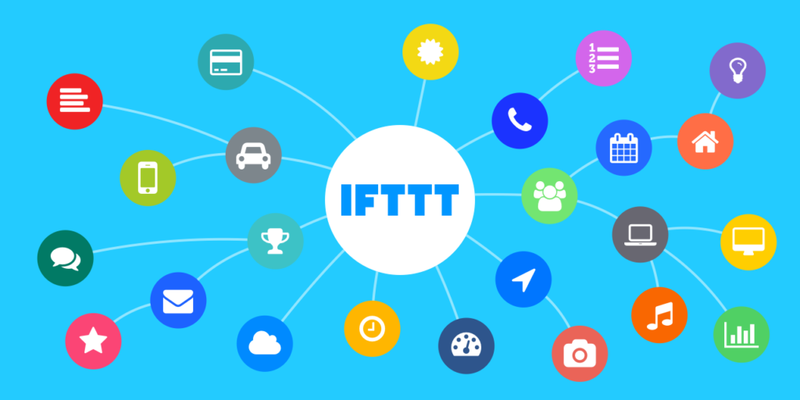 Let’s first take a look at the top IFTTT alternatives before we go on to deeper into how IFTTT will be changing the near future of modern living. 2.2 Understanding your IFTTT account? Automation is the trend of this decade. Be it home automation, workflow automation or production automation, technology has helped make our life easier. These smart programs don’t just work on predefined instructions but gradually grow into our lives, understand our needs and work intelligently to spare us the need to have manual control on things around us. You see, it takes care of literally everything! Well, here have been some of the top tools for automation that stand as good alternatives to IFTTT. One of the most pressing problems with IFTTT (which we will discuss later on this blog) is that it allows for a single trigger at any point in time. For example, with IFTTT, you can choose to turn your garage lights one when driving home to make it an easier process. But, what if you would have also wanted the AC to be turned on or have the coffee machine brew something fresh and hot? This is when you will use multiple triggers and just hope that they have fired at the right time. Well, setting multiple triggers is automatically boring and can also be time-consuming and tedious. After all, you were looking to make your life simpler and your appliances smarter. A good alternative in place for some time now has been ‘Stringify’. The tool allows for creating a flow wherein users can accomplish everything they choose to, through a simple interface. How can Stringify simplify my life? 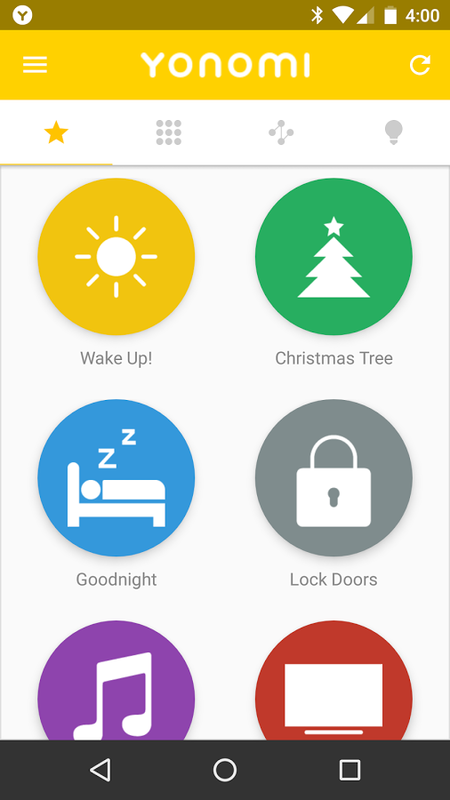 Play a customized message every night for your kid “it’s bedtime, so let’s put on the pajamas and get some sleep”! There’s a range of routines you can define with Stringify, from homecoming tasks to waking up and getting ready for a regular office day. The only downside with Stringify will, however, be that it doesn’t support as many numbers of devices as does IFTTT. A popular concern among users is about gadgets like the Belkin WEMO Smart Plug and Switch. However, the manufacturer is also constantly working on the same and has been adding more numbers of devices to the compatibility list every other month. The idea of a multi-stringed workflow has a lot of potential and with a slightly better execution and more intuitive dashboard; Stringify can become a tough competitor to IFTTT. Currently, its utility is largely dependent on what kind of devices you own. If you are of the impatient sort and are looking for an automation tool that offers more than what Stringify does, Yonomi can be another good alternative. Compared to Stringify, Yonomi accommodates a number of devices and has also been popular across Android users for some time now. The only thing you will probably miss is the pretty interface of Stringify. Yonomi app features an awesome design and is also extremely powerful. The moment you would get into your apartment, the Sonos speakers will cry out a welcome while the light in the drawing room will turn itself on. It might take a few seconds and you might already be removing your socks, but it is magic nevertheless. The Yonomi app takes over all your smart appliances and works together with your smart hub to ensure a comfortable and convenient experience. However, it will be important to understand here that Yonomi isn’t something that will take control of your home; it just helps you set up automation and routines that you would like. You still will be able to use the standalone controllers of each of your devices without interference by the Yonomi. Setting up the Yonomi would be easy, depending on the number of smart devices you own or have installed in your home. The “discover devices” button will help you get more intuitive with the same. You may visit the Yonomi page to review the full list of devices that the app currently supports. Just like Stringify, this tool too is continuously adding more to make it more convenient. You might also want to go through the preset routines that the app already defines. Minor changes in the time are all you would need to do. For example, a predefined routine with Yonomi allows for any music being played getting softer when you receive a call on your smartphone. You can define the time of the day such a preset should be entertained. Obviously, you don’t want your music to get softer when you don’t want to receive a call, are trying to sleep or are not at home! Organized by tabs, you can constantly review the ongoing, active and paused routines to make life ‘smarter’. Barring the minor limitations, Yonomi would be an easy favorite if you are okay with putting some initial amount of work with the app. The possibilities with this tool are endless. Yonomi can easily convince anyone seeking for a smart hub like IFTTT. 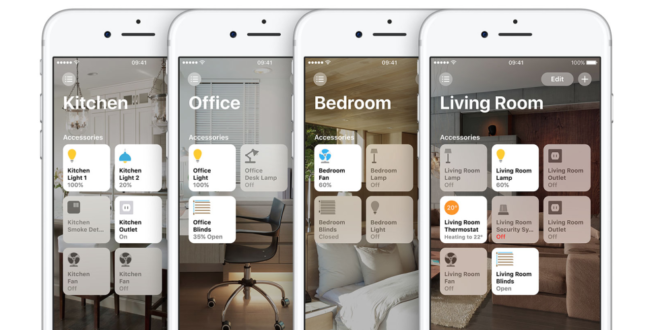 Apple Home Hub and HomeKit is the proprietary hardware and software for smart homes, letting users control the most popular smart devices, including door locks, light switches, thermostats, refrigerators, smart TV and other devices. HomeKit allows for an immediate link with little effort and you can be the master of all, not just through the Apple Home Hub app but also through Siri. Unlike other smart home platforms like IFTTT, the HomeKit doesn’t use a hub to control your smart devices. The only exception is when you are not present in the home. In this case, your Apple TV would be the gateway for home automation. The HomeKit was introduced back in 2014 and is still an evolving app. While the number of compatible devices has been added gradually to the list, it was after the release of iOS10 that HomeKit found a central role in the iOS ecosystem of your home. 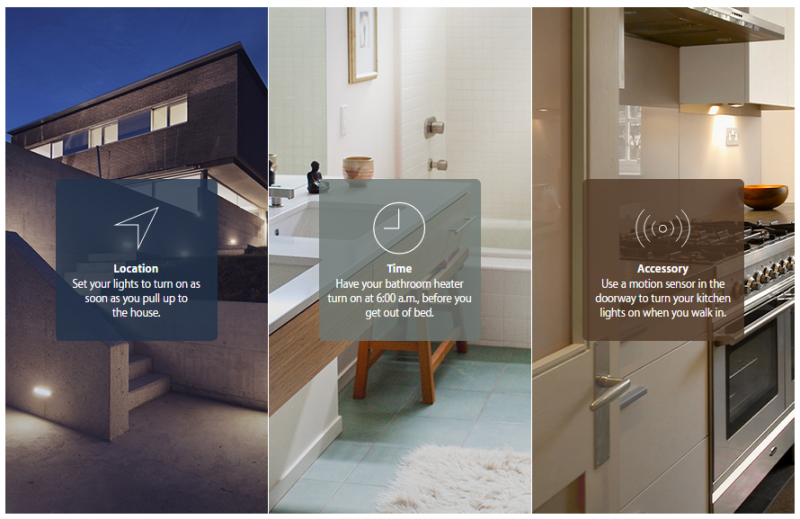 In addition to Apple devices, the HomeKit now allows for several other devices (not manufactured by Apple) like WiFi cameras, door locks and the like to allow for sophisticated but useful interactions. What to look for in the Apple Home Hub? If you have been a die-hard Apple user, the HomeKit should be a great entry point to home automation. The flow (as in Stringify) is called recipe here and you can come up with several strings – like playing music when the lights are dimmed or turning on the AC when you have parked your car in the garage. Integration of devices with HomeKit is close to plug-n-play and as with Apple; this is the most polished smart environment you will ever live in. Further, there is no concern of privacy with the HomeKit since there is encryption of all interactions and nothing needs to go to the cloud. Just add a 4th generation or higher Apple TV to the environment and you will be able to remotely take control over a home that awaits your commands! Apple Home Hub offers some very impressive features but it’s true that they aren’t as open as rival products. You are always tied to using Apple products. Consequently, it is not something that can be expected for mass usage. At the end of the day, Apple products are always expensive, though they offer high-end security among other features. For those unfamiliar with the concept, IFTTT is a freely available service, allowing you to take control of your premises in a smart way. Today, home appliance manufacturers have opened the door to developers who help link a range of products together. The concept of IFTTT takes this a step further to let you connect just about anything remotely smart in a “1+1=2” formula. It is activities like these that we had to manually control before. But with life getting busier and appliances more complicated, tools like IFTTT can always be a bonus. Anyone can have an IFTTT account. All you need to get started is being able to authenticate services and apps that you want within the reach of IFTTT, from smart home devices to your Twitter or Instagram account! IFTTT even allows for pulling in weather data to interact with your smart appliances like thermostats and HVAC. It might take some time downloading the app and getting across the initial phase of connections. Once done, the welcome screen will automatically come up with ‘recipe’ suggestions. These are most like commands and there is literally a countless number of possibilities. Another good thing about the app is that you needn’t get out of the dashboard to check the progress of the ‘recipes’. ‘Recipes’ here refer to the simple connections between the various products you use in your home (smart devices) and services like Dropbox, Instagram, Facebook, Twitter, Notes or Calendar. Recipes will connect devices and services that don’t normally work together and demand manual handling. For example, if you are expecting a storm in your area one evening, you would have had to rush back to your home and close the shutter before the dust finds its way in. IFTTT automatically takes care of that. The IFTTT app will send a signal to your smart shutter and have it managed in time, without you having to do a thing. Now, ‘recipes’ come as two types – Do recipes and If recipes. DO recipes will basically run with a tap while allowing you to create your own personalized Camera, Notepad or Button action. Available for both iOS and Android platform, you can do just about anything. The moment you press the button, the job (pre-defined) is complete. The Do recipe perfectly suits to ease repetitive actions in your life – switching on the garden lights after sunset, opening your garage doors when you are home and the like. IF recipes, on the other hand, are background processes. They create connections with the simple “If This Then That” statement. 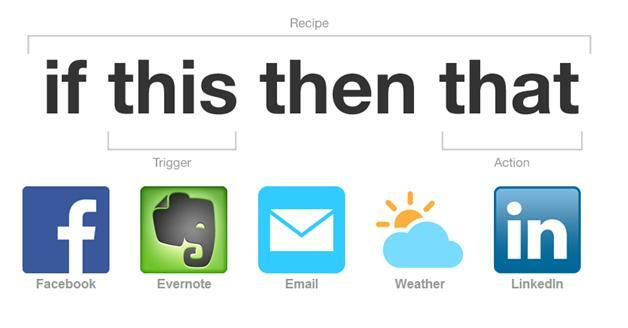 The building blocks of IFTTT recipes, home automation channels come with their own set of actions and triggers. There are in total 223 channels that help you customize your own personal choice of recipes – matching your exact needs. You may also use the thousands of predefined but customizable recipes, created by users from across the globe. It is the IF part of the recipe that we refer to as the trigger. A basic example is: if someone tags you in a Facebook photo, you go on to check it on Foursquare. It is the “THEN” part of the recipe. Some commonly used actions are “send an email” or “message on Facebook”. These are the pieces of data created from the ‘Trigger’ that are called Action. To make it clearer, an email action will have triggers like body, subject, attachment, recipient address, attachments, etc. You get to turn the IF recipes ON and OFF from your IFTTT account or from your iOS/Android app for the same. IF recipes frequently check for new trigger data, about every fifteen minutes. Some of the recipes even run faster. To find the best recipes, there are three ways to do it. Well, there are certainly more ways but these three are top recommendations. Go to https://ifttt.com/recipes/if and you can browse through things you might like. Just download it and for every recipe you download, the required channels are activated automatically. Go to ‘Your Recipes’ dashboard and fill in the blanks to put them to work. A basic example is an IFTTT recipe that will send you a personalized weather forecast every morning at a defined time. This could make it convenient to get ready for the day at work or travel. You can either opt for allowing the app to use your GPS to search for localized weather update or enter a location manually (convenient if you are traveling farther). 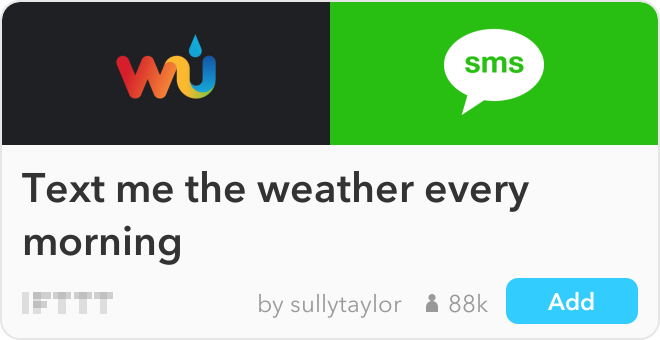 It’s not just the weather, but the IFTTT recipe can also send you information with more details like humidity, the probability of rainfall, temperature conditions and more. There are customized recipes like “recipes for music lovers” or something like a “recipe for healthy lifestyle” and similar things. Now, under each of these categories, you will find thousands of such recipes that will cover almost all kind of purposes you can possibly imagine. Again, just download, fill the blanks and you are done with winning a little bit of more freedom in your life! This is for those looking to use IFTTT to streamline your social activities. Whether it is sharing a picture that you find interesting or a quote from Twitter, IFTTT can automate the sharing and posting process. You can connect a lot many social accounts to make your social life more active. 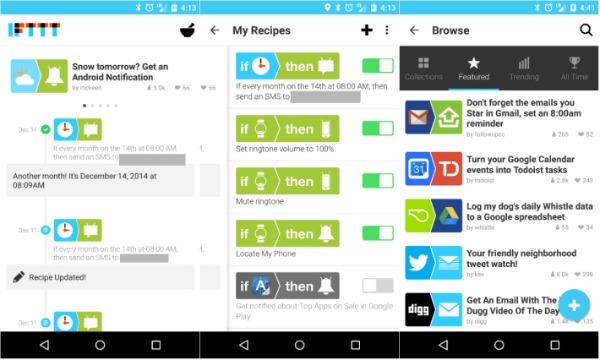 Once you are starting off with the IFTTT app, a white welcome screen donning the IF Logo will list all the recipes that you have added. For first time users without any recipe, the same icon will offer suggestions for the most popular and highest rated ones. The app interface looks simple and smooth with the first screen showing the latest processes executed. This is basically the notification panel, listing out the day for you. Swiping left on the screen will open up the “My Recipes” page, wherein you get the option for enabling, disabling or adding notifications. You can use the + sign, on the top corner of the screen for new additions. This will again come as four different sub-sections – Features, Collections, All Time and Trending. Further, there are recipe categories for online shoppers, music lover, the health conscious and the like. These commands are abreast with information and can make your life easier. If you have been looking to create your own recipe, just add the + icon at the bottom right and you can choose the tasks, channels and app types to define and execute a command. 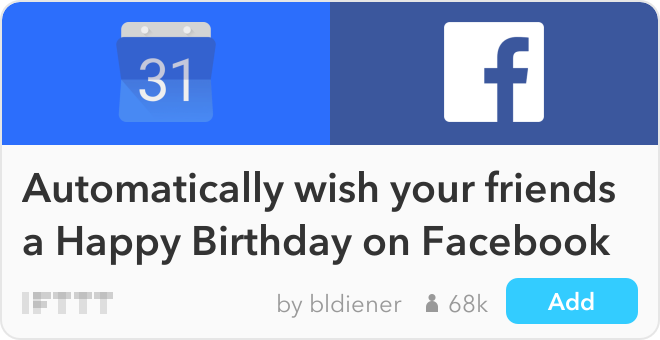 This is also a scenario where IFTTT can improve a bit. The IF recipe can be annoying when it comes to speed of connection! Another irritating shortcoming is that the content transfer isn’t as prompt as you would expect it to be. The syncing takes time and sometimes, you also experience a delay in the run. The IF App comes with a host of features. The user has the freedom to pick up from a long list of tasks and channels. From entertainment to social media, it will help you bring out the most from your smart devices and even open up features that you never knew to have existed. On the other hand, the “Features” recipe brings in an interesting set of commands. The more you explore, the more it will mesmerize you! Another glitch worth mentioning here is that when you create your own recipe, your options are limited to a singular app. You will have to use multiple channels for creating separate orders for the same app. If you have been struggling to connect your Amazon Echo Smart Speaker and Nest Learning Thermostat, there hadn’t been a way out. However, both will be central pieces in homes that own it. 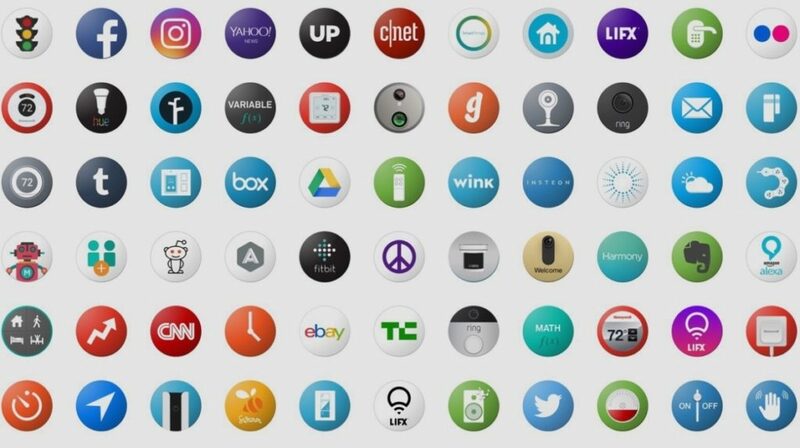 IFTTT is the only way to connect these devices. 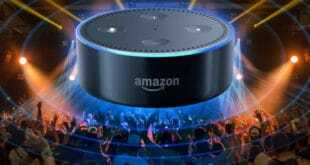 With Amazon Echo, you have the opportunity to have your own voice commands and consequently, a program to trigger whenever you please. You can also use it to voice-control your thermostat! While the process will be a bit time taking and tedious, it does work exceptionally well. 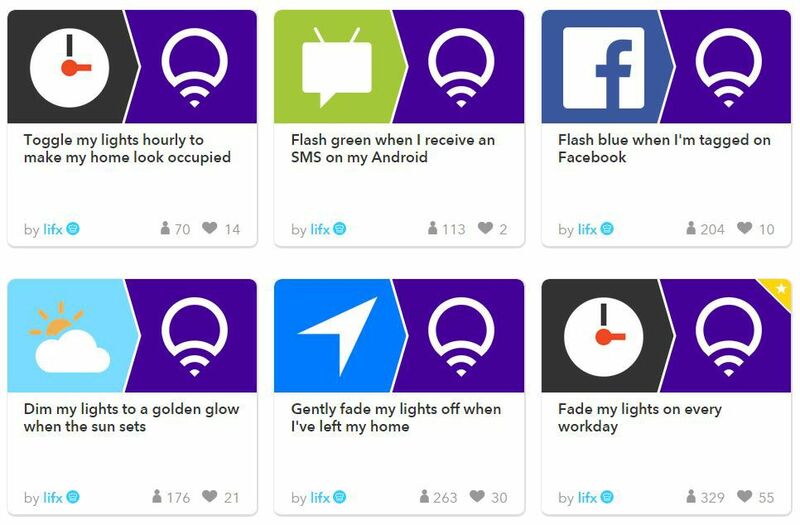 A user of IFTTT will love the details he gets and if you are already a control freak, IFTTT is something to fall in love with! The hardest test comes when you put all the similar and IFTTT stack against each other. 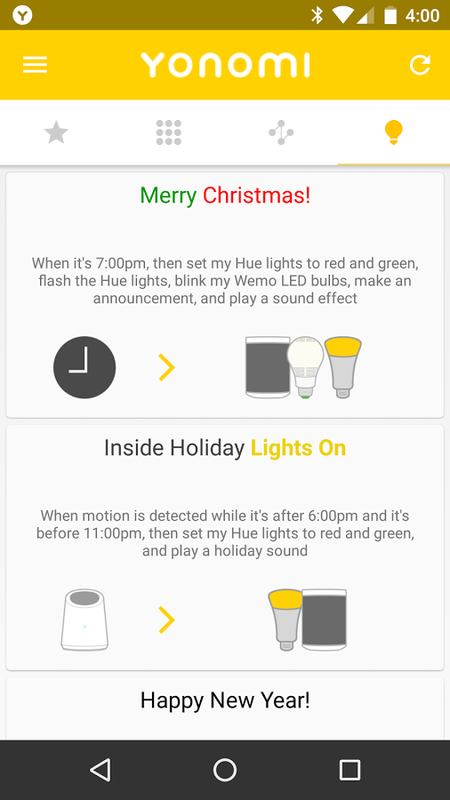 A good example would be the combination of Philips Hue and Lifx. Both these gadgets are smart color changing LEDs and both are IFTTT compatible. However, when you actually put the features to test, Lifx will be the one that will allow you to specify colors, fade duration, brightness levels and more. 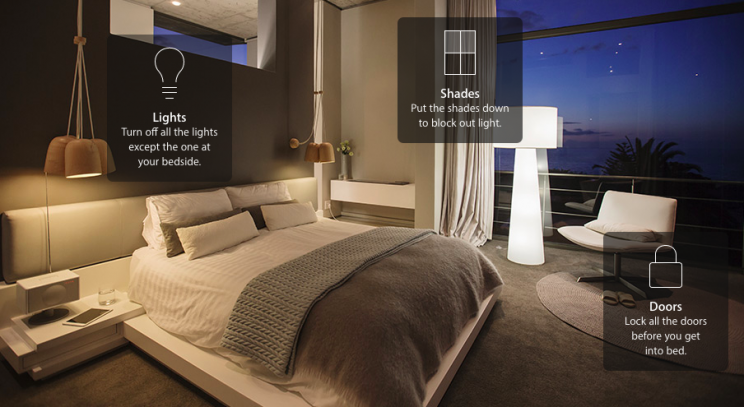 However, with Hue, you just get to pick up the bulb that you’ll control. Though the Philips Hue was one of the first devices that were compatible with IFTTT, Lifx helps us realize that the choices matter when you are picking up an appliance and hope to stack it with your IFTTT app. Practically, if you have been looking to use IFTTT compatibility in your smart home appliance choices, it will help if you have examined the actual channels of options. With Philips color changing bulbs, it was a comprehensive approach, but in others, you will find it simpler. IFTTT offers enough choices and opportunities for home automation, as long as you are willing to stick with IFTTT compatible devices. Fortunately, for users, it’s a long list of devices that is growing every day. With time, you will have plenty of options to look into. The best thing about IFTTT is the manner in which it introduces you to the world of home automation! 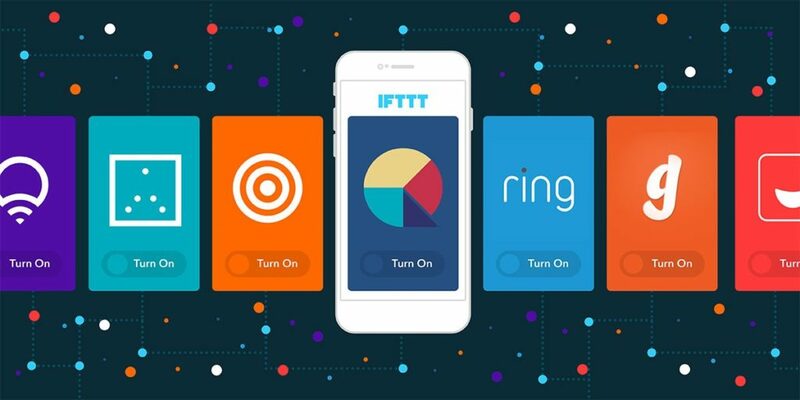 Gauging by the features and the limitations of the alternative home automation apps, there is little reason why you wouldn’t choose IFTTT. The range of choices is wider, the compatibility is awesome, the interface is friendly and it’s free. 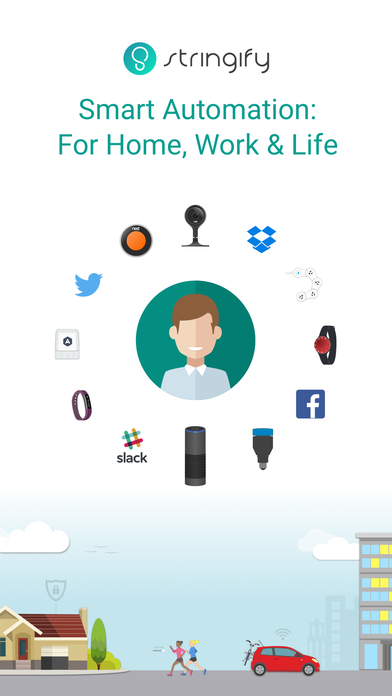 If you have been looking to introduce home automation into your premises, there’s just nothing better, at this point in time, than IFTTT. You see, it’s an easy choice to make! We are keen to hear out your thoughts. Do let us know in the comments! Next Z-Wave Doorbell or Wi-Fi Doorbell? Choose Prudently!